AS A FAMILY RUN COMPANY WITH MANY YEARS EXPERIENCE ALL WORK INVOLVED IN THIS INDUSTRY FROM SALES TO SURVEY TO FITTING BY THE SAME SQUAD. INVEST IN THE BEST FOR ALL YOUR DOUBLE GLAZING NEEDS. 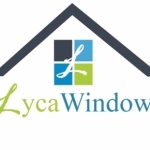 At Lyca Windows, our goal is to not only help you design and build your dream home, but to make the process easy and enjoyable for you. We are a full-service design/build company with a wide range of experience.Our excellent reputation and long list of satisfied clients attest to our superior craftmanship, attention to detail, clear communication, honesty and integrity just ask for our client reference.We supply and fit u-pvc,alluminum and timber windows,doors,porches and conservatories and undertake all associated building work. For your complete peace of mind our products come with a 10 years insurance backed guarantee. With our past experience we have developed designs and styles to suit your needs with our tailor made service we can make what you want. Along with the quality of the design comes with the durability. we have worked alongside the met and studied the u.k weather patterns for the last 25 years, meaning that our double glazed and low maintenance Pvc-u products can handle just about anything the weather can throw at them.no rotting frames or faded colours just quality that lasts!